Gearing up for a Lego-tastic Birthday! My lovely daughter recently turned twelve and she has her birthday party this weekend. We are having it at a beach so I am not going crazy with decor because there isn’t TOO much to decorate! I just bought a pack of notecards and some brightly colored card stock. I just cut the card stock to fit the front of the card. 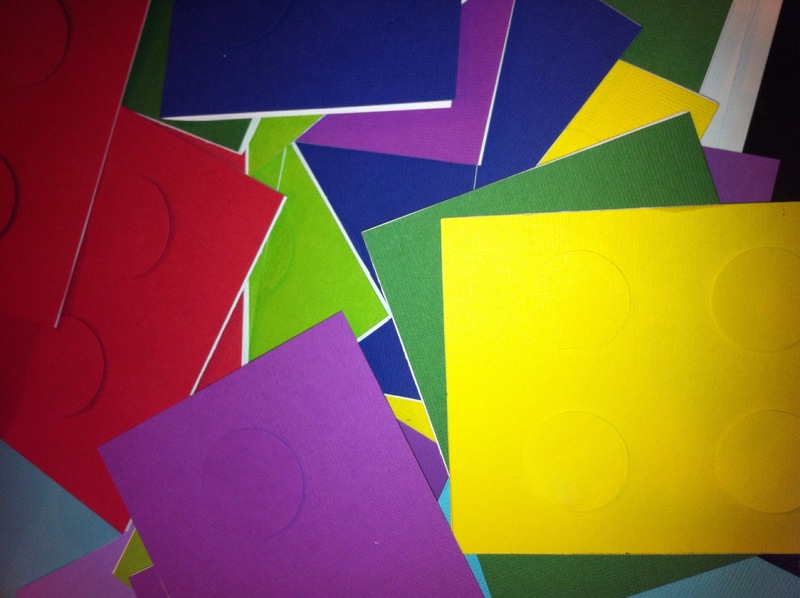 I then used a circle punch to punch out circles and attached them with glue dots so they would be a little raised. They turned out great! I even downloaded a cute Lego font for the inside of the cards. I am now elbows deep trying to design a Lego brick birthday cake and get it done before Saturday! 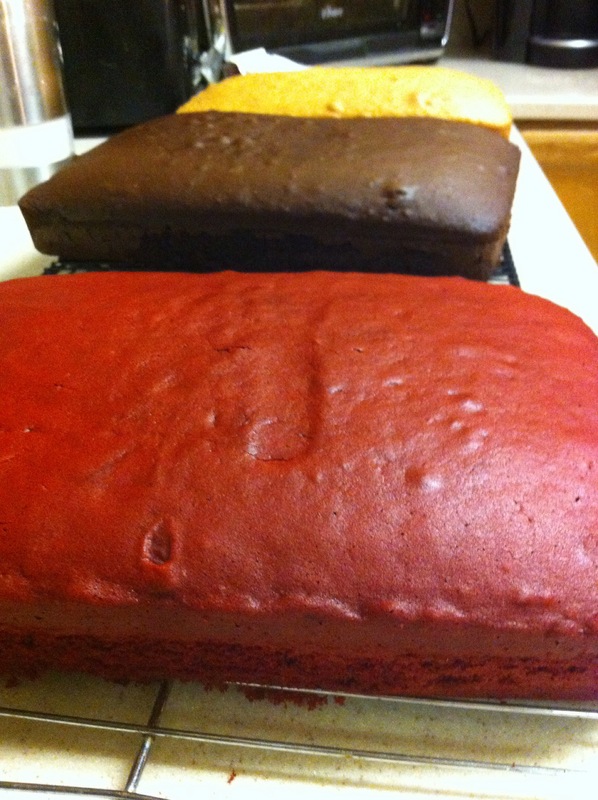 So far I have three pretty cakes; vanilla, dark chocolate, and red velvet. Each one is going to be cut, stacked and turned into a brick. I also made some homemade fondant because store bought is SO awful. 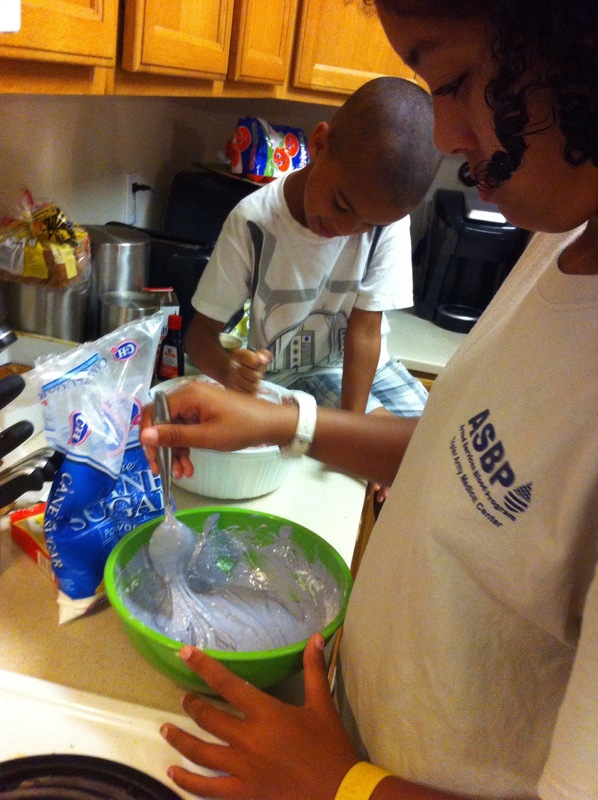 I found a recipe online for marshmallow fondant. It was relatively easy but pretty messy! Especially because I had two kids helping out! 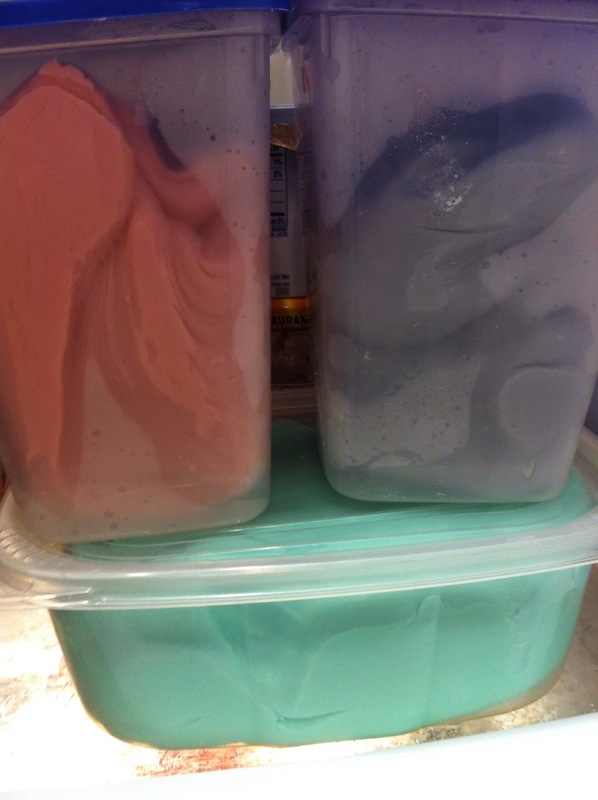 Three tubs of girly fondant colors done! Now all to do is trim cakes, crumb coat, cover with fondant and stack! We shall see if I can finish it tomorrow! Love the Lego invites and the cake plans! We made fondant once and it is hard work, but very enjoyable outcome. Have fun on the beach! Wish I could celebrate with my niece. Happy Birthday!! !